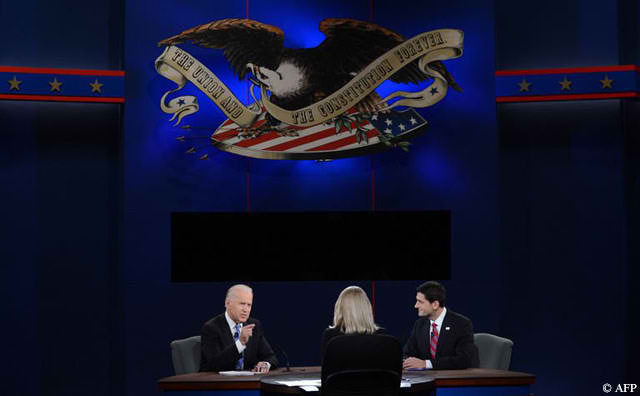 Once I began watching the vice presidential debate, I remembered why I usually don’t…foreign policy. Admittedly, most of that goes over my head with the joint chiefs and names of cities and townships that I don’t know. I like the broad overview, not the granular… I felt a bit more knowledgable with the question regarding embassy security and the handling of the attack in Lybia. However, I was completing the financials for a college scholarship online application, so my attention was elsewhere. It was not until Martha lobbed the abortion question did my focus return to the debate. I wanted to hear two men debate this as an issue of POLICY. Let’s outlaw abortion and force all babies to be born; then let’s gut the budget of any programs that will assist that child and mother to flourish. To think that men have an inkling of understanding about abortion is malarky. To stand on your religious and moral beliefs to oppose abortion is malarky. Just ask all of the clergymen and politicians (especially Catholic ones) whose teen daughter, niece, granddaughter, sister or girlfriend has tiptoed across state lines to have a quiet procedure. Oh, you probably can’t because they either have no clue or will go to the grave with that skeleton. My point? It is easy to grandstand until it’s personal. Women should govern their bodies- period. If the father wants to be involved, then they decide on something so personal and difficult. Repealing Roe v. Wade is, say it with me, malarky.